Applications of our Imprinted Film Faced Plywood include construction and concrete formwork. 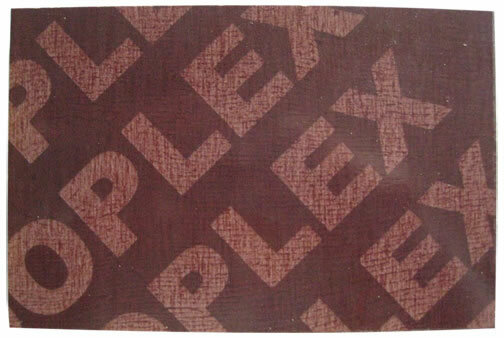 It is available in different thicknesses to meet your specific requirements. Sindo is one of the first Imprinted Film Faced Plywood manufacturers and suppliers in China. Due to our continuing efforts to expand our products, we now provide a wide range of wood products including film faced plywood, medium density fiberboard, high density fiberboard, hardboard, blockboard, and more. Our products have received the SONCAP and CE certification. They are sought after in countries such as the USA, Germany, Egypt, Japan, Korea, Canada, Mexico, Argentina, Brazil, and Peru etc.